Madame Madeleine Munier : After 10 years as Food and Beverage Manager in different hotels in France and in Seychelles, I joined the Airelles Collection in March 2016 as Hotel Manager and took over the position of General Manager in July 2017. La Bastide de Gordes, an ancestral residence perched on the rocky slopes of one of the most beautiful villages in France, invites you to enjoy an exceptional experience amidst the Luberon’s unique and enchanting landscapes. Enter a Luxury Palace suspended between the sky above and the valley below when you visit this luxurious stopover, where every detail is taken care of, so our guests enjoy a perfect experience. 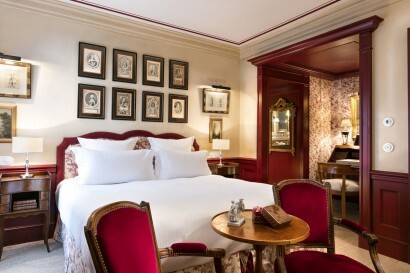 Enter the magical world of an 18th century castle and let it sweep you off your feet. Enjoy gourmet cuisine awarded with stars as you sit on one of our sumptuous terraces opening out onto the spectacular Alpilles valley. Bask in one of our swimming pools or comfortable lounges. Enjoy a treatment in our spa nestled amongst the rocks or delight in diving into our swimming pool. 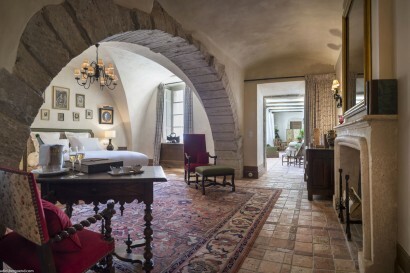 Whatever you do, our aim and commitment is to make your stay at La Bastide de Gordes an unforgettable experience. 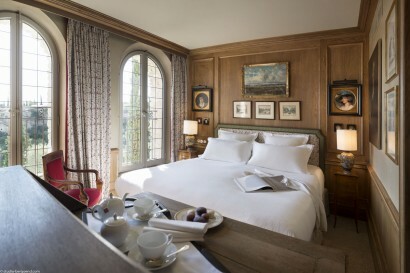 2015 all 40 rooms, all restaurants, all common areas, all gardens and terraces. 2016 the Sisley Spa and children’s play room both times with designer Christophe Tollemer. The hotel is located in the heart of the village. Magnificent views over the valley. 1600 m² of Sisley Spa. Three restaurants, including the one Michelin Star restaurant. Children kingdom with games room, entertainment terrace, children’s swimming pool and animator throughout the season. In the heart of the village of Gordes, one of the most beautiful villages in France. – The Village des Bories : Classed as a historic monument. – Fontaine de Vaucluse: An enchanting and intriguing place, the source of the river Sorgue. A play room with manual and digital games (video games and pinball machine) has been designed so that everyone can have fun. A terrace for the older children with pool table and table football games. Treasure hunts and open air cinema are organized regularly. 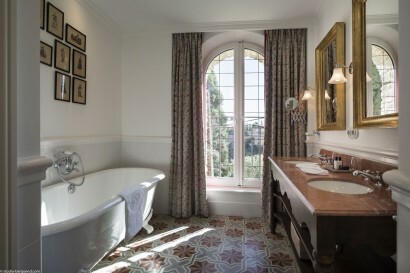 • Number of suites: 6, between 55 and 113m², all on valley side, some with private terrace. All but one can accommodate more than 2 adults. Most can be connecting to other rooms or suites for larger parties. 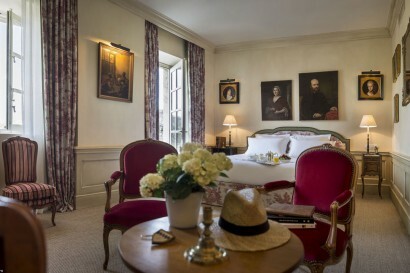 • Number of Luxury rooms: 34, between 24 and 63m², 10 on village side and 24 on valley side. Various options of accommodation which can accommodate more than 2 adults, some connecting options. Two rooms have specific equipment and are suitable for access with a wheelchair. Offering authentic fine woodwork, lime painted walls and flowered upholstery, each room boasts a unique and romantic decor enhanced by period furniture, original fireplaces, paintings and antique objects brought back from various travels. 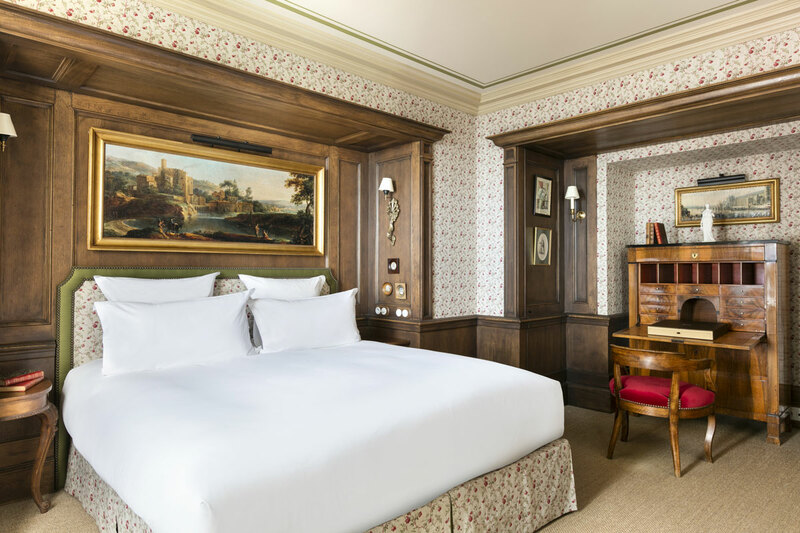 The room combines the ultimate in comfort and elegance, inspired by the eighteenth century and enhanced with the latest in modern day fixtures. Each room reveals its own unique identity and atmosphere to match your tastes, ensuring your stay with us is an unforgettable experience. • « Pèir | Pierre Gagnaire TT » One Michelin Star. Open for lunch and dinner, days may varydepending on the time of the year. Dinner at this restaurant is included in some of our packages. 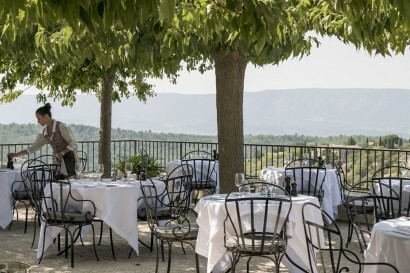 • « L’Orangerie » restaurant. Tasty Provençal lunch. Open for lunch 7 days a week. From Monday to Saturdays for traditional lunch and on Sundays for brunch. • « Le Bar de la Bastide » Open 7 days a week until late. Snack options are also available at the bar. • « La Bastide de Pierres », Italian Trattoria style restaurant, in the heart of the village at less than a minute walk from La Bastide. •1600m² Sisley Spa with 4 treatment rooms (including on Duo room), Outdoor care and treatments, on a private terrace, indoor swimming pool, sauna, steam room, sensory showers, solarium rest area, tea room and a functional and well-equipped fitness room. 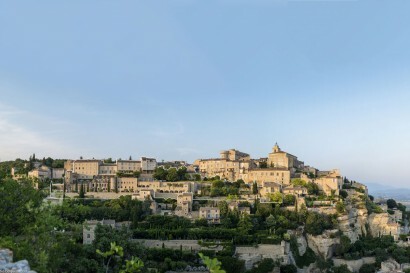 • La Bastide de Gordes, has 5 meeting rooms for conferences and private events and can accommodate between 5 to 200 people. These rooms have been designed to offer the very best in comfort. Also, they’re fitted out with the latest technology and benefit from natural light. 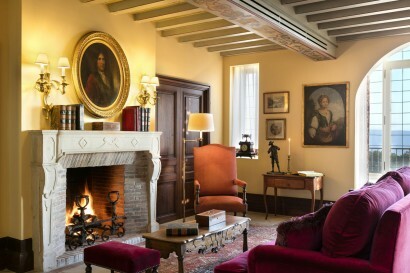 • Our beautiful reception room,with view on the Luberon valley, will be available for weddings and events.The room can accommodate up to 120 guests for a seated dinner and up to 180 guests for cocktails. • Open Air cinema in the gardens. • TripAdvisor’s Traveller’s choice award for Top 25 Luxury Hotel in France category.